Scientific Industries acquired Torbal™ in February 2014 as part of an asset buyout from Fulcrum, Inc. Scientific Industries was founded in 1954 with a focus on rugged and reliable laboratory products. In 1962 the original Vortex Genie Jr was released becoming an essential part of any reputable laboratory. Years of expansion and new advances have led to the Vortex-Genie Family, which is currently offered today. Currently our product offering consists of benchtop laboratory mixers, analytical balances, as well as Bioprocessing and Cell Cultivation equipment used for pH and Dissolved Oxygen Monitoring. Torbal™ dates back to the 1800’s when it became famous for its superior weighing mechanisms, which were based on the Torsion design. During the 20th Century, Torbal EA-1 Analytical Scales, and DRX Prescription models became the balances of choice for laboratories, schools, and pharmacies throughout the United States. In 2003, while part of Fulcrum Inc., the company developed an excusive alliance with one of the largest precision scale manufacturers in Poland, and reintroduced the TORBAL brand with high quality precision scales and analytical balances. By 2006 Fulcrum Inc. received Weights and Measures NTEP certifications for five precision class II models. Today, the TORBAL success continues with some of the most advanced precision, laboratory, and analytical scales available on the market. 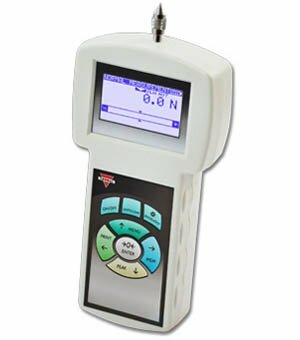 Our line has recently expended to include moisture analyzers, force gauges, and industrial scales. TORBAL Precision and Analytical scales are constructed with highest quality parts and components. With a robust die-cast metal housing, a superior force restoration load cell, and features such as Automatic Internal Calibration, we are able to guarantee accuracy, quality and reliability at all times. Scientific Industries offers excellent warranties on all its products, and views customer service and support as its highest priority and obligation. Most scales always ship free and include lifetime technical support, as well as free telephone training. It’s simple: To offer our customers the best value for their money, and provide highest quality customer service and technical support. No matter which TORBAL you choose, you can be sure to receive, precision, accuracy, and reliability, combined with an outstanding Return On Investment. More on our roots and rich history: www.wikiscales.com or http://en.wikipedia.org/wiki/Torbal. U.S. Patent # 262905 to F.A. Roeder for a Torsional Beam Scale. U.S. Patent # 340007 to F. A. Roeder for a Torsional Pivot Balance (which is remarkably similar to those sold today for use in pharmacies). The Springer Torsion Balance Co. is incorporated to “acquire the ownership of patents on scales, balances, and other instruments of precision. The Torsion Balance Company (successor) is incorporated in NY. The Torsion Balance Co. (Torbal) acquires the Christian Becker business and becomes a leading supplier of Analytical Balances. Torbal consolidates its NYC and Jersey City operations in a new plant in Clifton, NJ. The company becomes the leading supplier of Analytical and Laboratory Balances in the U.S.
Torbal introduces the Model EA-1 Analytical Balance. This balance is a hybrid electro-mechanical balance. The most significant digits are done by mechanical weight loaders, and the last three digits are done by an EMF motor (permanent magnet and a coil). Torbal is acquired by Vertex Industries, Inc. and operates as the Torbal Division. Vertex is in other rapidly growing markets and operates Torbal as a “cash cow”. Torbal retires from the Laboratory Market, but continues strong in the Pharmacy Market. Torbal is acquired by Fulcrum Inc. and focuses solely on the balance market. It continues to manufacture its pharmacy balance in Clifton NJ. The DRX-4 electronic balance is approved by NTEP for use in the pharmacy. The DRX-4C Series of Electronic Pharmacy pill counting scales is released. A full line of Precision (Laboratory) Electronic Balances is introduced to the market via the Torbalscales.com web site. Marketing directly allows the company to sell high quality products at very competitive prices. Fulcrum introduces the B series Torbal's most advanced industrial scales ever built. Fulcrum introduces the FA series force gauge. Find our high quality force testers at Qualityforcegauges.com.